Iberogast has been extensively researched in 19 international clinical trials. More than 25 million patients have used Iberogast since it was developed and launched in Europe more than 50 years ago. 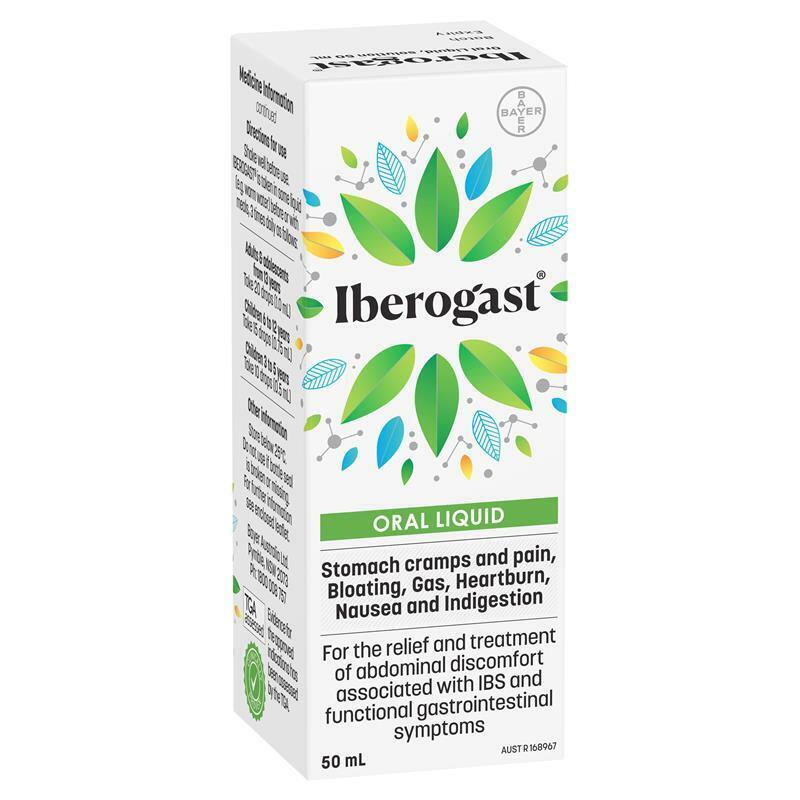 Its efficacy has made Iberogast the number one natural medicine for gastrointestinal symptoms in Germany, selling over 5 million bottles per year. Due to its evidence, Iberogast won the Australian Journal of Pharmacy Award in the category best complementary medicine for 2012. What is Iberogast used for? Iberogast’s safety and efficacy has been extensively researched in over 45,000 patients of all age groups, from babies to adults, in 19 clinical trials. Iberogast has no known interactions with other medications and is very well tolerated.3,4 It has been used extensively for more than 50 years and there have been no significant adverse reactions reported in the literature or to the health authorities of different countries. Iberogast’s unique multi-targeted formulation is clinically proven, it is the exact product used in clinical trials. This is very important for natural medicines, as there can be a great deal of variability between products, even if they appear to use the same active ingredients. This is due to the part of the plant that is used, growing methods, harvesting processes and manufacturing methods. The outcomes of clinical studies for natural medicines should therefore only apply to the exact product that has been tested. 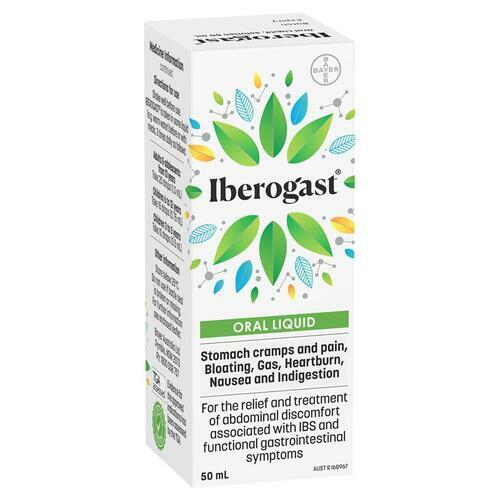 Iberogast is a liquid formulation that is taken 3 times a day, before or with meals, in a small amount of warm water, or mixed with another drink of your choice. A dropper is already in place within the neck of the bottle to allow for easy dosing. The bottle should be shaken before use. Always read the label. Use only as directed. If symptoms persist, or the condition recurs, it is important to speak with a healthcare professional. How does Iberogast differ to other natural medicines for IBS and dyspepsia? Iberogast is a unique combination of specific plant extracts (STW 5) that is clinically proven, it is the exact product used in clinical trials. Due to the variability of natural medicine products, the tolerability and efficacy that Iberogast has demonstrated in clinical trials should not be extrapolated to other products. How long will it take for Iberogast to work? Many patients report improvements within the first 2 weeks of using Iberogast, but best results are seen after 4-8 weeks' treatment. Can Iberogast be used in pregnancy and lactation? Many years of therapeutic experience have shown no harmful effects for mothers or their children when Iberogast is used during pregnancy or lactation. However, you are recommended to speak with a healthcare professional before taking Iberogast during pregnancy or when breastfeeding. Can Iberogast be given to infants and children? An adjusted dose of Iberogast can be given to infants and children. It can be taken mixed in expressed breast milk (infants), water or juice and applied with a pipette for small children. Yes, Iberogast contains 31% alcohol (ethanol), which plays an important role in the herbal extraction process. However, owing to Iberogast’s alcohol content, patients with illness or addiction related to alcohol consumption should not use Iberogast, unless under the supervision of a healthcare professional. Also, women who are pregnant or breastfeeding and patients with severe liver or kidney impairment should speak with a healthcare professional before taking Iberogast. Is Iberogast likely to interact with any medications? Iberogast has no known interactions or contraindications, however, it is important to discuss this with your healthcare professional if you have specific concerns regarding medication you are taking. Should Iberogast be stopped before surgery? From the available clinical and experience data there is no recommendation to stop Iberogast before surgery. However, it is important to discuss this with your healthcare professional, including your anaesthetist and surgeon. Is Iberogast suitable for long-term use? Yes, Iberogast can be taken long term. Yes, Iberogast is gluten free. No, Iberogast does not contain lactose. Will Iberogast affect my ability to drive and use machines? Iberogast has no known adverse effects in these situations. References: 1. Buchert D Z Phytother 1994; 15: 24-25 2. Madisch A et al Z Gastroenterol 2001; 39: 1-8 3. Rosch W et al Z Gastroenterol 2002; 40: 401-8 4. Nicolay K Gastro Entero Hepatologie 1984; 2: 24-8 5. Malfertheiner GI-Telex 2011. 6. Kelber O et al Pharm Ind 2008; 70 (9): 1124-27. Some of this research received funding from Steigerwald Arzneimittelwerk GmbH.